AGC is the customer’s trusted go-to technology solution integrator to architect, deploy, manage and secure their IT environment through customized solutions and services that accelerate their business. A leader in Enterprise Communications in India, AGC has significant presence across Middle East, Africa, North America, Singapore, Australia, New Zealand and Philippines serving over 3000 customers. In collaboration with global technology leaders like Avaya, McAfee, Palo Alto, Cisco, HPE, Trend Micro, Juniper, Nutanix, NICE, Verint, Polycom, Genesys and Mitel among others, AGC delivers domain-focused, flexible and customized technology solutions and seamless services that accelerate customers’ business and ensures Return on Technology Investments (ROTI). Threats are continuously lingering around you, and there might be a hacker trying to break into your system right now! Cyber threats are your biggest enemy, and we understand cyber threats like no other. We are the largest and the only “Global Managed Services Partner” of Intel Security in India offering live feeds on Global Threat Intelligence from Intel Security. We offer advanced services for “0” Day threat defense, active response, and integration with all Intel security partners. Our state-of-the-art Global Security Operations Center (G-SoC) in Mumbai helps us deliver one integrated solution to defeat any targeted attack. We ensure almost immediate operations commencement for all industries, thanks to our over a decade of experience in cross functional domains. Despite being a global set-up, we are locally active by providing consultants capable of relocating at short notice and delivering best of quality, armed by the relevant qualifications and industry experience. …and we can just go on giving our reasons to trust us. Studies suggest that there are 500,000 new & unique security threats discovered annually while there are 362 new threats every moment. The annual losses incurred due to the breach of security have been reported to be $575 billion. 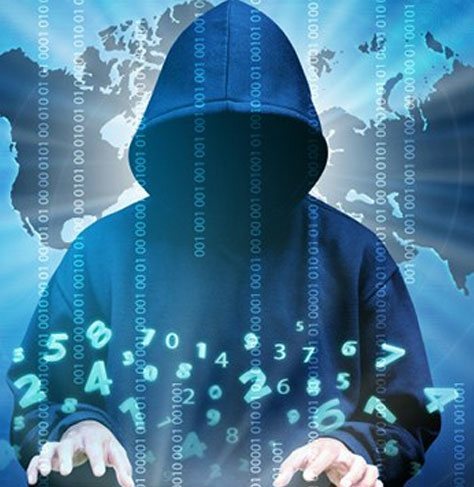 Cyber-attacks on Target alone striped banks and credit unions of $200 million. Surprisingly, when cyber-attacks are so much on the rise, nearly two-third of the organizations still learn of their breach from external sources because a typical advanced attack goes unnoticed for nearly eight months. Attackers are increasingly using outsourced service providers as a means to gain access to their victims. Many organizations have made significant security improvements, however, they have yet to keep pace with today’s determined adversaries. Do you rely on yesterday’s security practices to combat today’s threats? Wake up! According to ITRC Data Breach Reports – 2015 Year-End, over 169 million personal records were exposed in 2015, stemming from 781 publicized breaches across financial, business, education, government and healthcare sectors. The average global cost per lost or stolen record containing confidential and sensitive data was estimated to be $154. According to “Cost of Data Breach Study: Global Analysis” by IBM / Ponemon, the industry with the highest cost per stolen record was healthcare, at $363 per record. The matter becomes more serious when we look at the statistics of “The Global State of Information Security Survey 2016” by PWC suggesting that in 2015, there were 38 percent more security incidents detected than in 2014. Cisco 2016 Annual Security Report suggests that in 2015, even fewer SMBs (29 percent) used standard tools like configuration and patching to prevent security breaches, compared with 39 percent who did so in 2014. It is alarming to know that the median number of days that attackers stay dormant within a network before detection is over 200 according to “Microsoft Advanced Threat Analytics.” As much as 70 percent of cyber-attacks use a combination of phishing and hacking techniques and involve a secondary victim according to “2015 Data Breach Investigations Report” by Verizon. It makes matters worse when 74 percent of CISOs are concerned about employees stealing sensitive company information as per “SANS 2015 Survey on Insider Threats” by SpectorSoft. The 2015 Global Cyber security Status Report by ISACA International suggests that only 38 percent of global organizations claim they are prepared to handle a sophisticated cyber attack. 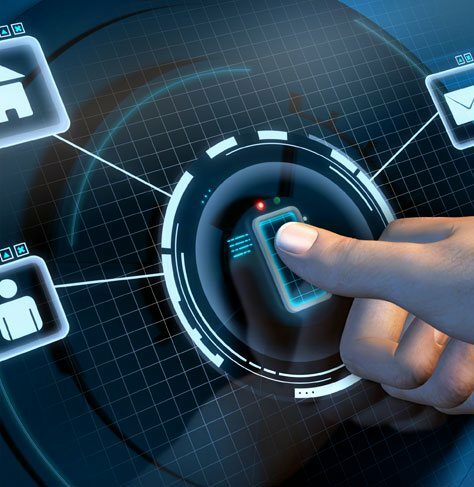 According to 2015 Trustwave Global Security Report, the majority of data breach victims surveyed, 81 percent, report they had neither a system nor a managed security service in place to ensure they could self-detect data breaches, relying instead on notification from an external party. This was the case despite the fact that self-detected breaches take just 14.5 days to contain from their intrusion date, whereas breaches detected by an external party take an average of 154 days to contain. AGC CYBER–i encompasses competence across Governance, Risk Compliance, Security Solutions and expertise in building Security Operations Centre’s for organizations from all verticals and sizes. Our qualified and experience consultants along with the organizational expertise, deliver outcome based results of various engagements that we undertake to provide the right Return on Security Investments (ROSI). AGC obtains data from Intel Security for billions of IP addresses and network ports, and calculates a reputation score based on network traffic including port, destination, protocol, and inbound and outbound connection requests. We identify probable attackers well in advance leading to advanced precautions. Protect your organization from botnets, distributed denial-of-service (DDoS) attacks, command and control activity, advanced persistent threats, and risky web connections. Not just that, you can reduce system and network burden by blocking threats at the network edge through a well set-up security system. Downtime and remediation costs associated with network-based attacks are tremendously reduced due to security systems. 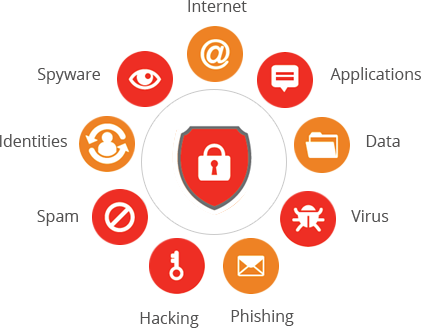 AGC promises a complete bouquet of Cyber Security Solutions addressing People, Process and Technology. We make sure that our services adhere to the statutory and regular compliance requirements for your organization. While being pro-active with security measures, we ensure early Detection, Protection, and timely Correction of Cyber Security Threats. Not just that, our end to end Managed Security Services are designed to suit your requirements through Onsite, Remote and Cloud setups. Our Security Offerings include On Premises, Cloud, Hybrid and Managed Services to offer a complete security solution to your organization ensuring highest level of cyber security. Automotive, Banking & Insurance, IT & ITeS and Government Enterprises. Having served the industry for years, our consultants have vast experience in implementing the management system frameworks, governance frameworks & maturity models and auditing the same. Our successful track record is built upon a combination of diligence, flexibility and process expertize, all of which provides a thorough understanding of our clients’ needs. Our service delivery quality, competitive rates and our qualified personnel, combine to make AGCNL the right choice for your business. When it comes to assessing, discovering and providing solutions, we assure you of the accuracy and success because our consultants have deep domain knowledge in Cryptography, Secure Network Implementation, Secure Software Development, Access Control, etc. AGC’s Cyber-I is a comprehensive solution for your cyber security with a lot of sub-solutions to offer you support at the day-to-day basis. To help you carry out your IT functionality smoothly, we have collaborated with top businesses offering world-class cyber-safety solutions. Upon your sign up with us, you unlock access to those brilliant tools and solutions. Here’s what we have to offer under our Solutions window of Cyber-i. Data Security covers Advanced Threat Protection, Information Rights Management, Mobile Device Management, and Vulnerability Management. Identity & Access offers Two Factor Authentication and Privilege Identity Management. End Point Security is all about Anti-Virus, End Point Protection, Data Leakage Protection, and Network Access Control. Network Security includes Firewall, NG Firewall, IPS, and UTM. Advance Security covers Network Immune System, ICS Security, Enterprise Security, IOT Security, and Cloud Security. Whether you’re challenged with constraints on your IT budget, fighting ever changing threat landscape, or are looking to improve efficiency of your compliance and security initiatives, we understand that all businesses are different, and that’s why Cyber – i’s Managed Security Services are designed for that kind of flexibility. Treats are getting complicated every growing minute while skills still remain at a premium. Business imperatives like BYOD, social media, web applications and big data can pose risks as well as inefficiencies if they’re not properly managed. Cyber – i can help you solve these challenges and close that gap – through OUTCOME BASED SERVICE OFFERING and integrated technologies, unparalleled threat intelligence and highly flexible managed services designed to meet the unique demands of your business. We know that all businesses are different, and that’s why our services are designed to deliver just what you need –whether that’s helping you install, configure, and tune your solution so you can drive it, or managing a complete program for you, so you can focus on your business. Our expertise in high-value managed security services can take you beyond the basics. Sure, we’ve got your managed firewall covered, but we can also help you with advanced security requirements, like threat correlation and analysis, holistic application security, self-sealing BYOD protection, advanced anti-malware, and more. Our analysts and engineers offer you the most advanced expertise and insight available today. Trustwave performs threat research and analysis that can help you better understand, detect, and prevent security breaches. And we constantly feed the latest threat intelligence into all our services with our multisource Global Threat Database. Our Security Operations Centers are staffed by experienced, well-trained and well-equipped security professionals. We encourage all of our security analysts to hold the SANS GIAC GCIA (GIAC Certified Intrusion Analyst) certification. This team also holds a variety of security industry and product certifications such as CISSP, CCNA, CCSP, CCSE, CCSA, MCSE, etc. All of our security analysts also have multiple years of real-world network security experience which they leverage to fully investigate and analyze security activity. Our security analysts understand what’s at stake for your organization and conduct their duties with singular purpose. We are the experts in automation. With our cloud based management portal-Trust Keeper, you get a real-time view into the status of your programs, access to all your managed services, and you can make support requests, see event history, run reports, and manage your account, all through one easy-to-use dashboard. Cyber – i helps augment your security strategy in key areas to help you evolve processes, elevate data protection or advance the way you manage threats. With deep security expertise and unmatched global threat intelligence, we will design a program that supports your specific needs, while giving you complete visibility and control. PACKAGED MSS BUNDLESSimplify your security program, operationalize your expenses and keep your team focused on business priorities. With packaged solution bundles, expert management and automated tools, we remove the day-to-day complexity of compliance and data protection, so you can get back to what you’re passionate about – your business. Security Solution Monitoring: This is done through our on-site and remote assistance depending on the case. It includes SIEM based Event Monitoring & Analysis, Performance Monitoring, Incident Management Alert & Notification, CXO Report, and Compliance Report. Security Solution Management: This is again done through our on-site and remote assistance depending on the case. It includes Policy Management, Change Management, Configuration Management, Signature Updates Device Fine Tuning, Version Upgrade, and Reporting. Managed Endpoint Security Services: The services covered under this section include Virus & Malware Prevention, Spyware Monitoring, Outbreak Prevention, Signature Updates, Compliance Management Deviation Reporting, Uniform Policy Management, and Configuration Management. Anti-Malware: It covers Web Application Malware Monitoring, Web Application Malware, Anti-Malware Malicious Code Sandbox Analysis Forensics & Malware Reporting. AGC believes that a sense of security is the backbone of any business- security in terms of the cyber space. AGC’s top notch service program ensures that your business runs smoothly while we take care of all your -miscellaneous cyber-safety issues. Our CYBER-i services are designed to empower you with the most proactive cyber security technology from across the world. Audit: Our highly advanced Audit services include regular performance of Vulnerability Assessment, Penetration Testing, Network Audits & Assessment, Security Audit, Application Audits & Source Code Review, Internal Audits, and Digital Forensics. Compliance: We are compliant of HIPAA, SOC 2, Data Privacy, COBIT / ITIL, and Framework. Implementation: We take care of the entire implementation process of SIEM, APT, DLP, NAC, Bandwidth, Management & WAN Accelerator, Wireless Security, Risk Management, and Compliance Tool. Certifications: We are certified with ISO 9001, ISO 20000, ISO 22301, ISO 27001, PCI DSS, and PA DSS.